Happy New Year friends!! 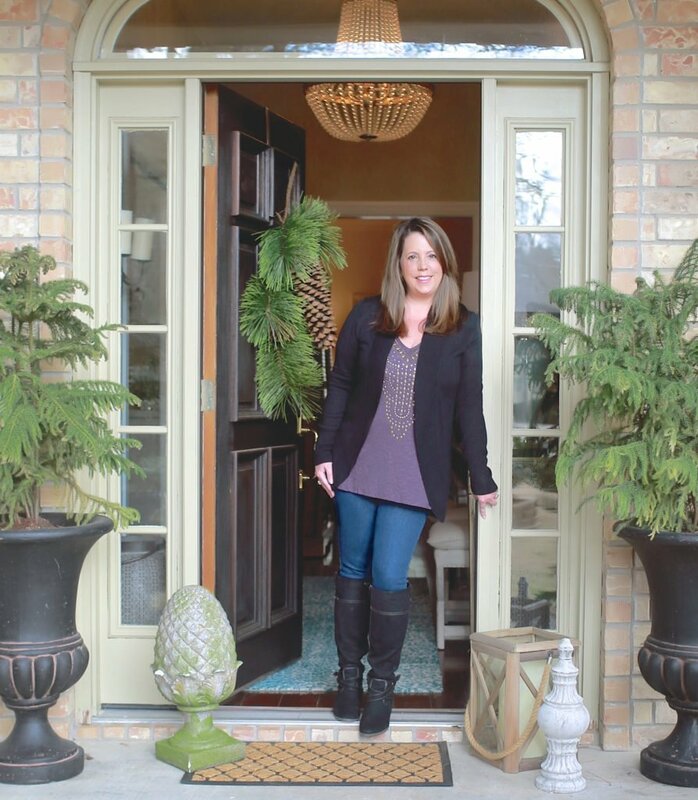 I can’t think of a better way to start things off than by talking about the 2018 paint color trends and forecasts! 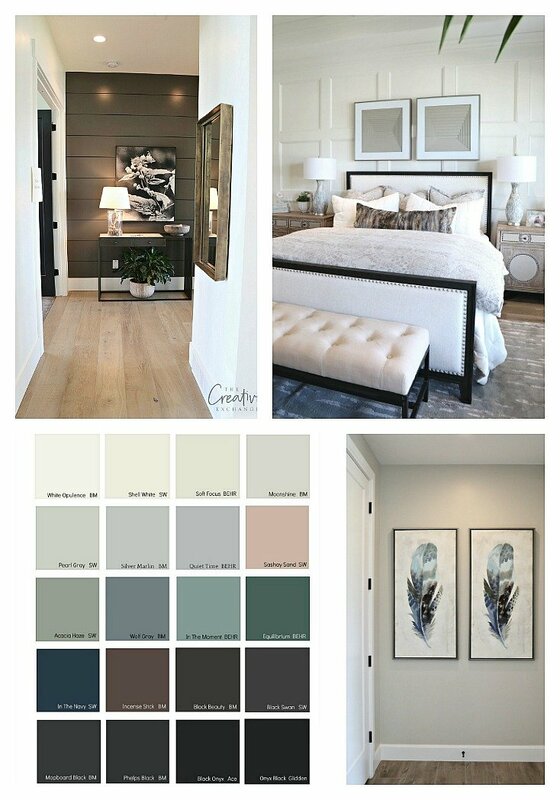 **The 2019 Paint Color Trends post is now on the blog! I am really late this year with my annual post on paint color trends for the year but better late than never, right?! I am SO excited about where we are heading with color and I have devoured, analyzed and scoured all of the paint manufacturers forecasts and I can’t wait to share with you guys all the details. On a side note, all of the images in today’s post I took while touring the Salt Lake City Parade of Homes back in September. 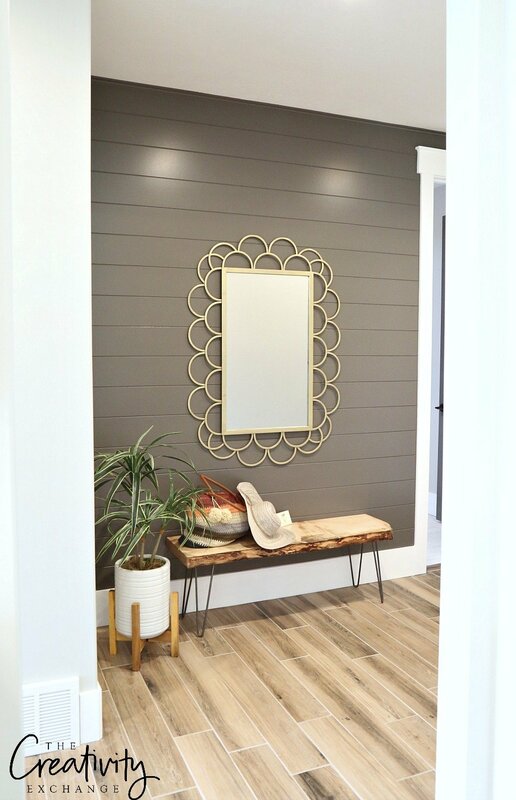 I was so blown away with all the fresh ideas and paint colors that I took tons of pictures so I could share with you guys. 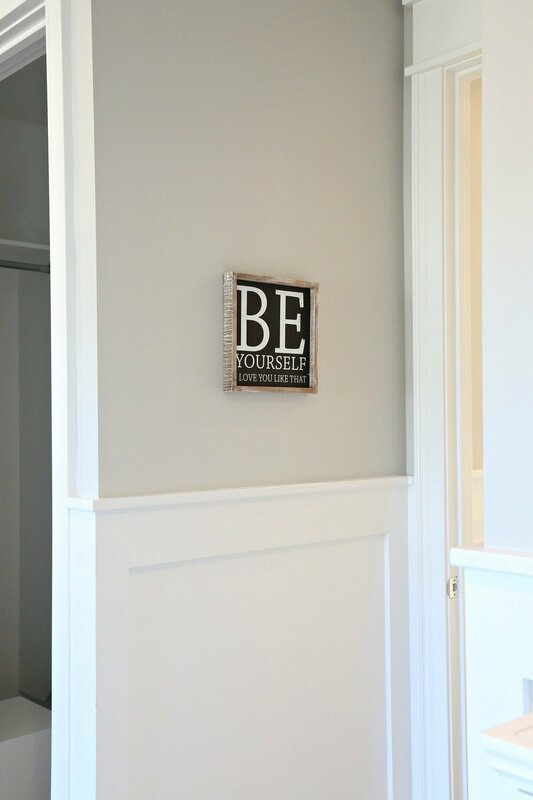 If I was able to get the name/brand of the paint color from the builder, I listed it directly below the image. More than any other color forecast that comes out, I look forward to the paint manufacturers forecast the most because I think it’s the most accurate because it’s based on current paint color sales indicators. As we consumers naturally move through color undertones, manufacturers have the tools to predict what colors we will be drawn to next. As I look back over the 9 years that I have been blogging about paint colors, color trends and yearly forecasts, I continue to be amazed at just how precise the paint manufacturers are in their color forecasting. 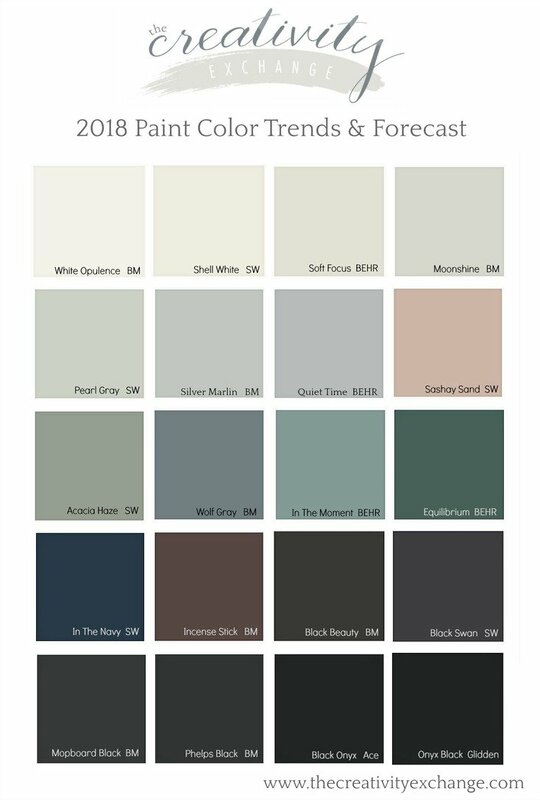 From my experience, paint manufacturers are about 12-18 months ahead of mainstream consumers in their color trend forecasting and if you look through my 2017 Color Trends and Forecasts post you can see that we are now trending into those forecasted colors. Each year, I sift through all the various color forecasts and predicted paint colors (hundreds of colors) and pull the forecasted colors that I feel are more realistic for our walls and those colors that I know from experience are good. Here are my 2018 favorites that I pulled for you! This year, all of the paint manufacturers 2018 color forecasts are unanimous with where we are heading in color for the next year. We are slowly moving into more color and warmth. If there was a word of 2018 when it comes to paint colors, that word would be “muddy” or “muted”. I also agree that is precisely the move that I have been seeing with consumers, designers and home builders. 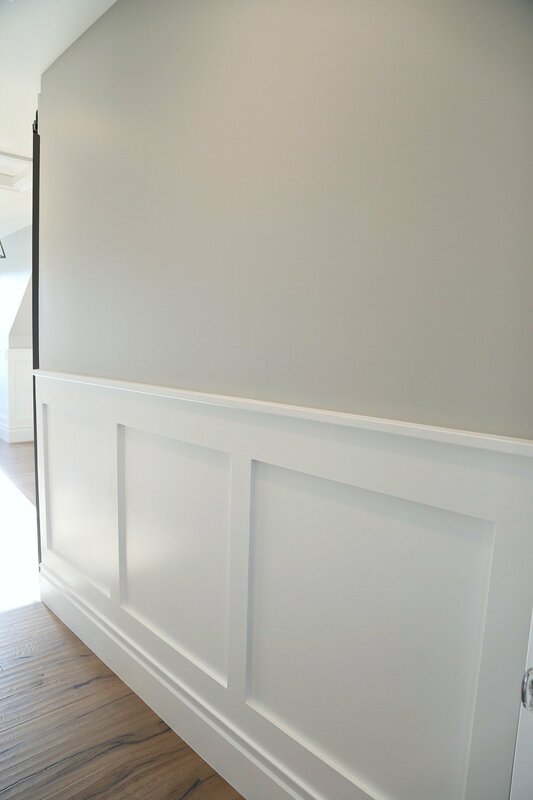 If you’ve been following along with me the last couple of years, you know that we are on a slow natural path moving into warmer paint colors. The pendulum swings slowly when it comes to consumers and how we naturally move through colors. 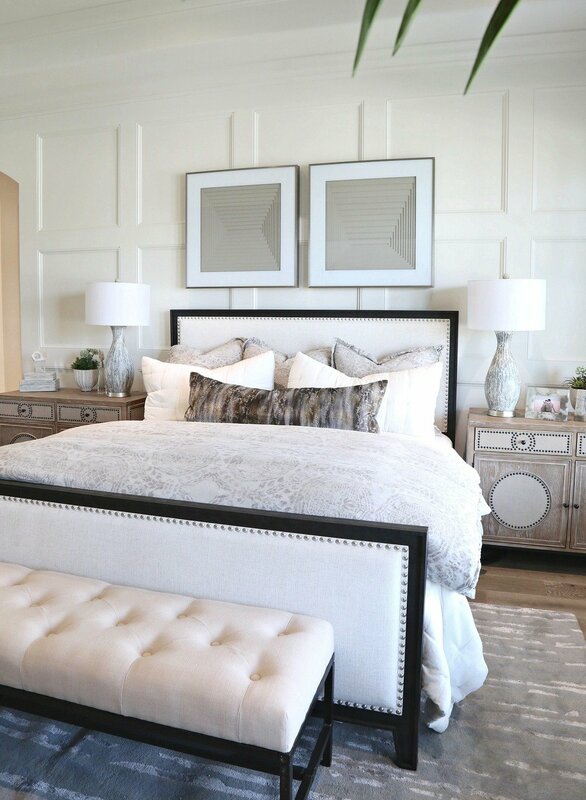 Of course, we would never go overnight from wanting cool grays on our walls to bright warm colors. Instead, we move gradually and warm up to colors by starting with muted or muddy colors. Makes perfect sense, right?! 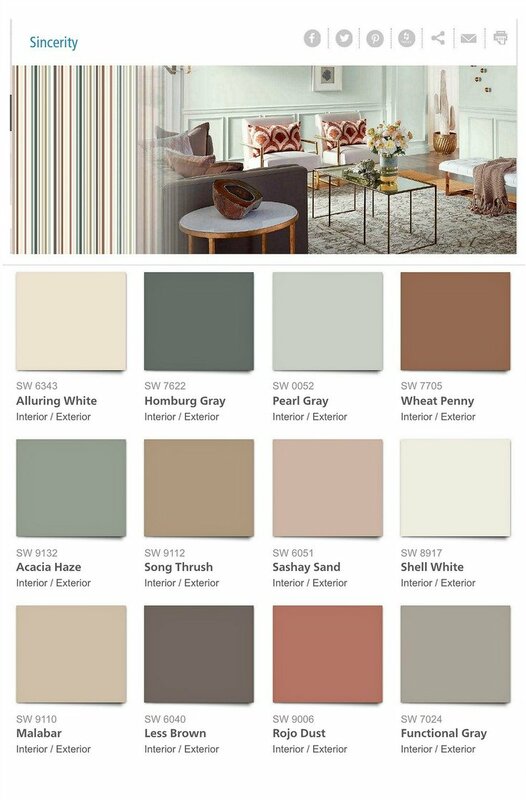 Sherwin Williams 2018 Color Forecast introduced the “Sincerity” color palette and it’s about as muted or muddy as you can get when it comes to color. If you’re like me and are still very much grounded in neutral paint colors, no need to worry because neutrals will always be popular. However, we will see trends in neutrals continue to move from cool leaning to warming up. I am already seeing this neutral warm-up in design this last year. 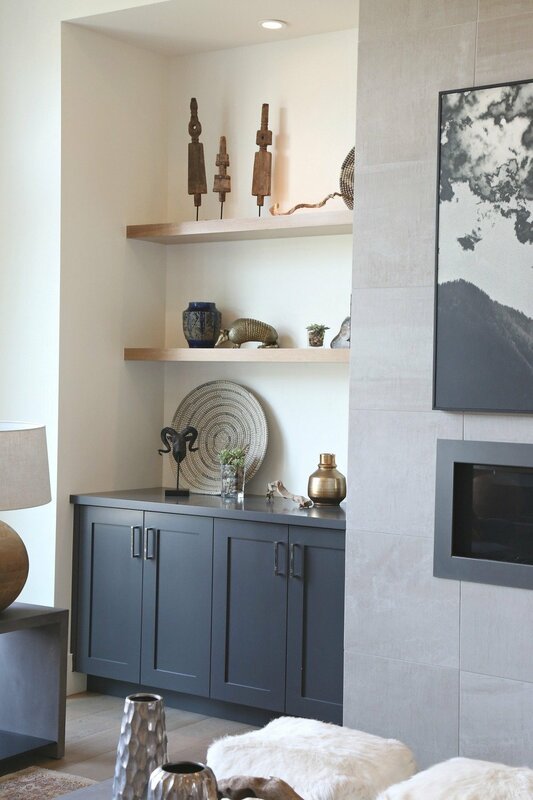 Warm grays that have a balanced hint of coolness will continue to be the most popular neutral in 2018. The gray trend is not going anywhere anytime soon! 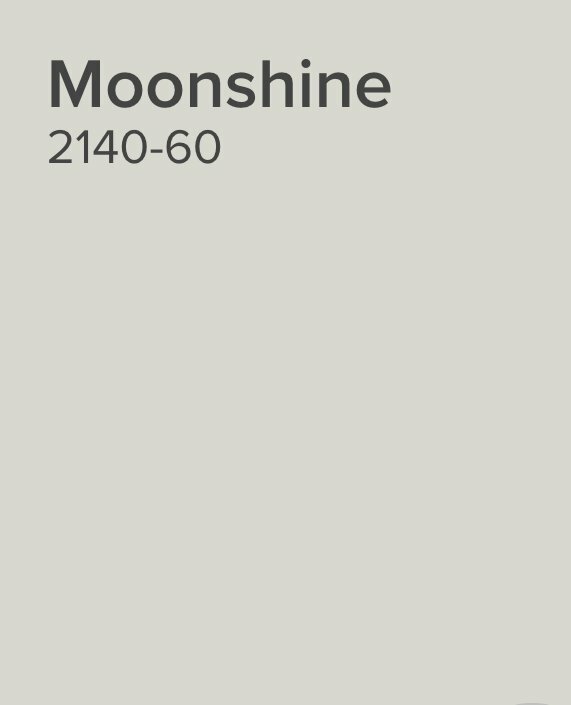 I was really excited to see the color Moonshine on Benjamin Moore’s 2018 Color Forecast because it’s one of the best neutrals out there and the very slight warm undertone is indicative of the move to slight warm-up this year with consumers. However, Moonshine still has plenty of coolness to balance. 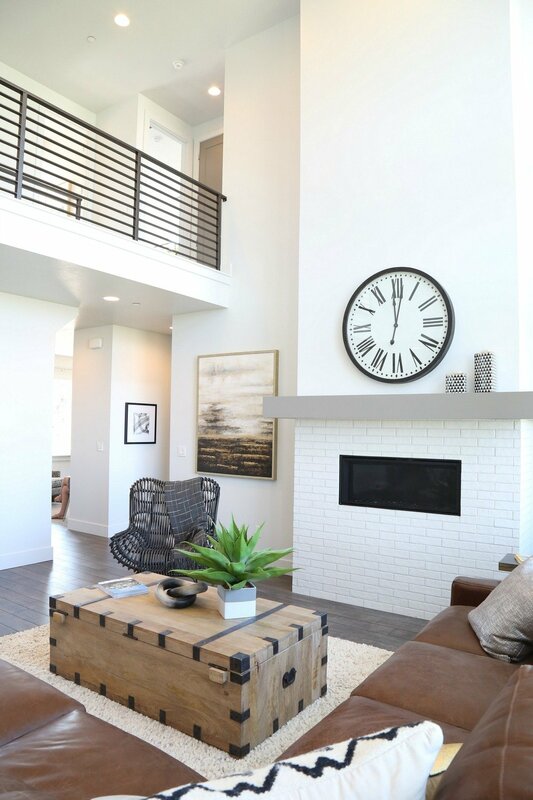 If you’re looking for just a little neutral color for your walls, put Moonshine on your radar for sure! 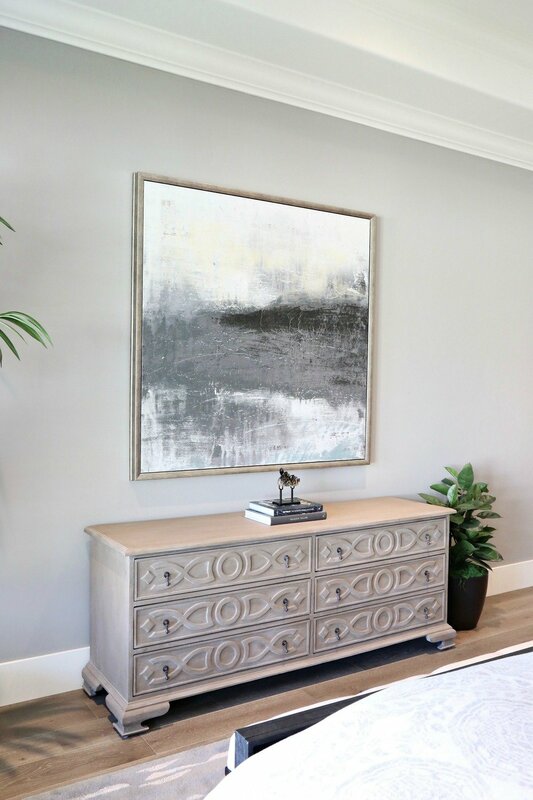 I fell in love with a neutral color called Storm’s Coming by PPG when I saw it used in a whole home during the SLC Parade of Homes. 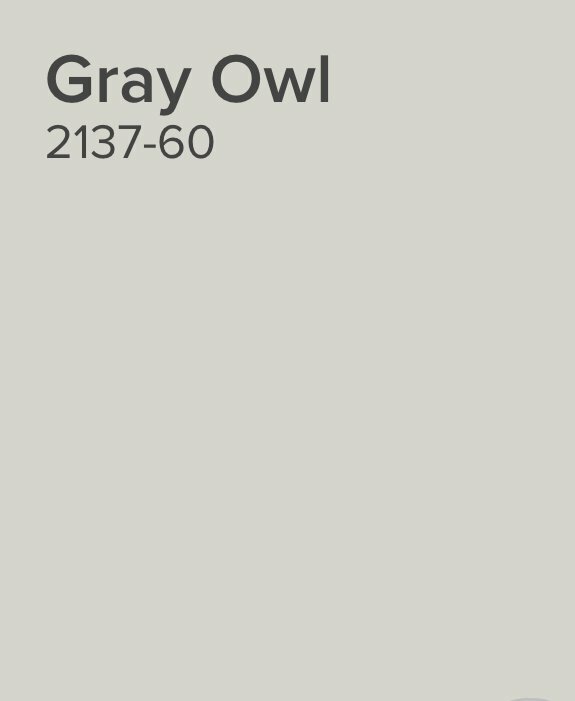 Benjamin Moore Gray Owl has been very popular for several years now and I also saw it used as a whole home color in several different homes on the tour. It’s one of the most dependable and versatile paint colors out there! 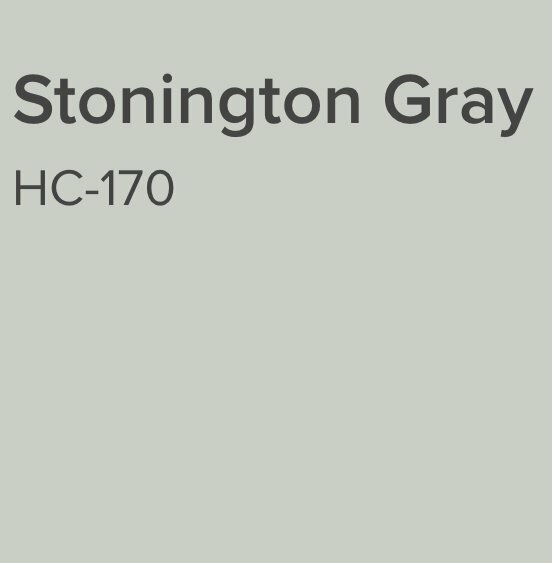 If you are looking for a gray that is slightly less warm than Gray Owl, Benjamin Moore Stonington Gray is a gorgeous color to consider! 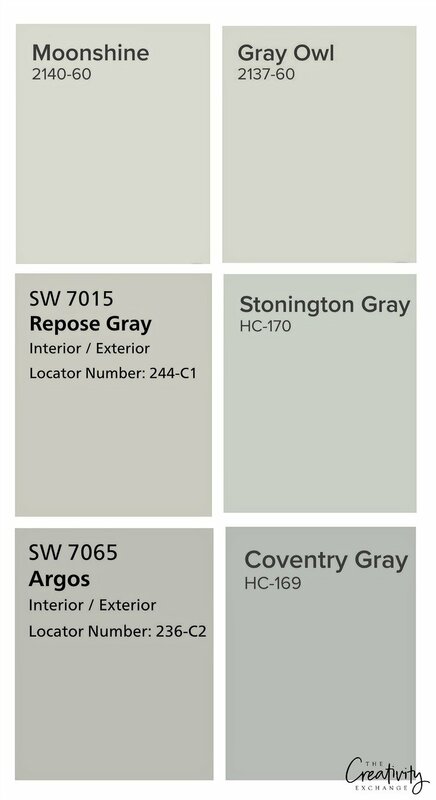 While all these grays look the same, there are some slight differences. Here are all the colors together to help you see the differences. I was surprised that there were very few whites in the paint manufacturers forecasts for 2018. This is where I take a hard veer from their predictions. 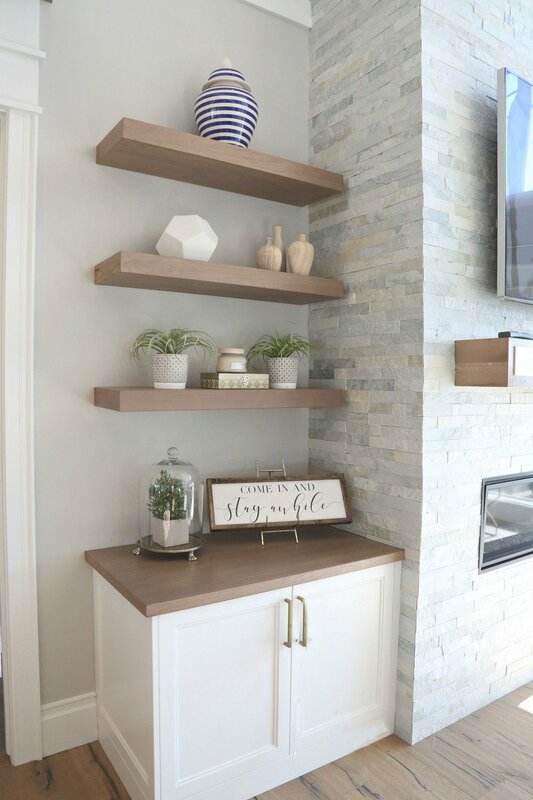 I feel from what I have been seeing the last year, white walls and cabinetry will continue to dominate more so than ever in 2018. All you have to do is scroll through designers and home bloggers on Instagram to see that white is not going anywhere. 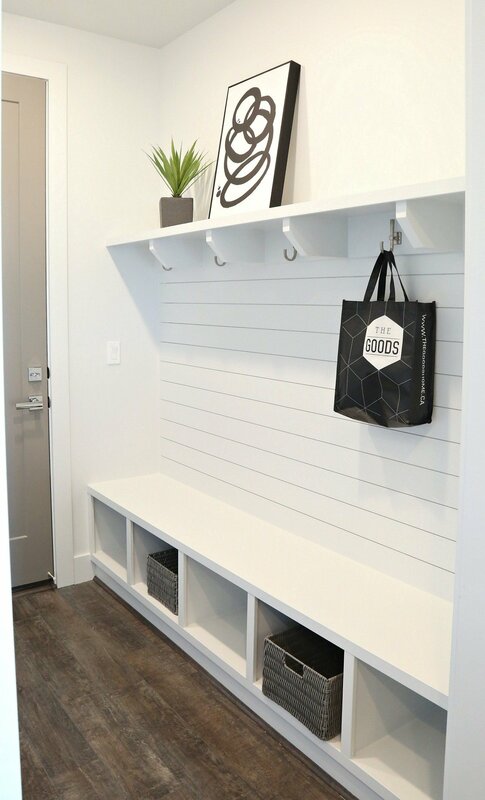 I think that consumers are really loving the freshness that white walls and cabinetry bring. 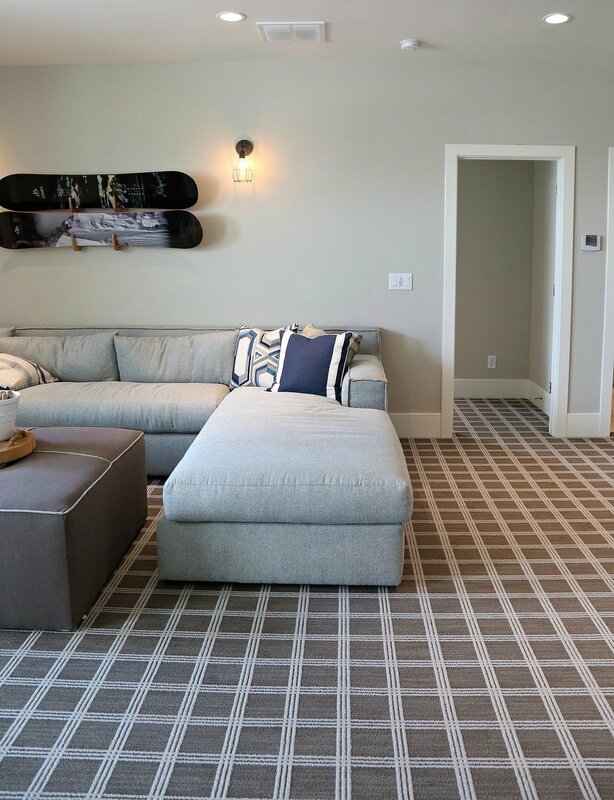 I’m continuing to see people opt for color in fabrics, rugs and art against the white walls. 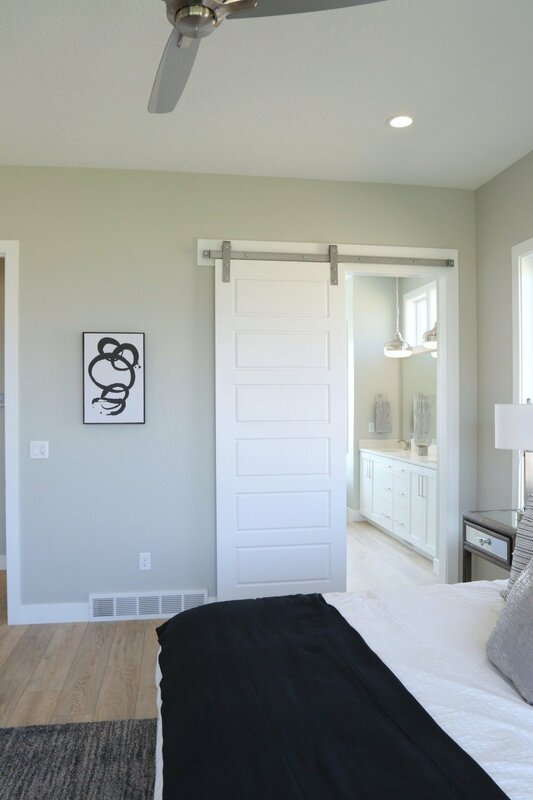 It’s a lot easier to try out fun new colors seasonally with white walls, which is another reason white continues to be so popular. 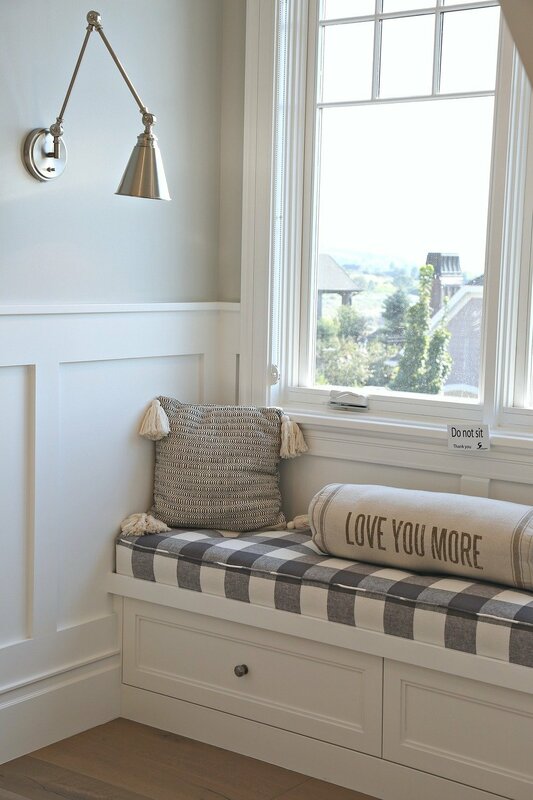 Benjamin Moore Simply White has by far been the most popular white this last year because it’s not too bright and cool and has slight warmth. We are moving from the crisp bright cool whites into ever so slightly warmed up whites. That change has been happening significantly this last year! However, for my clients that do not have a lot of natural light but want white walls, Simply White could be too warm of a white. In those cases (very little natural light), I recommend Benjamin Moore Decorator’s White, which is a little brighter and less warmth. I am also going to start recommending Sherwin Williams Nebulous White for my clients that do not have a lot of natural light. 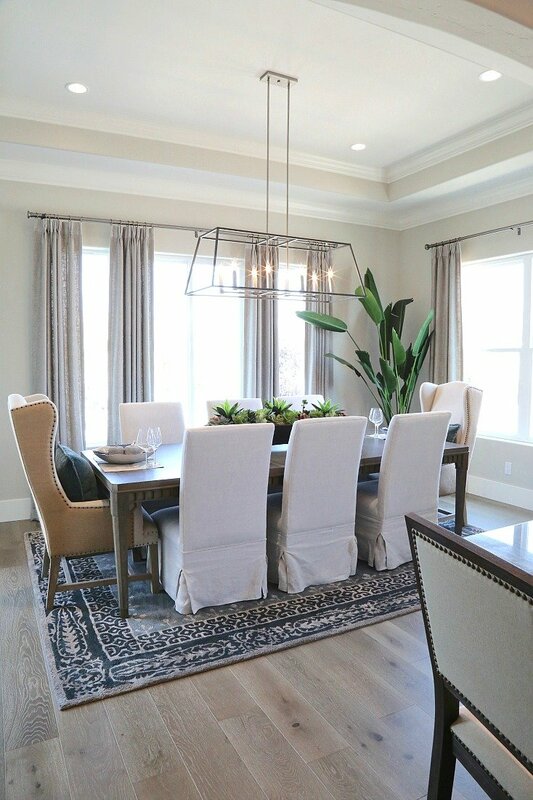 I saw this color used in a whole home during the SLC Parade of Homes and absolutely loved it! 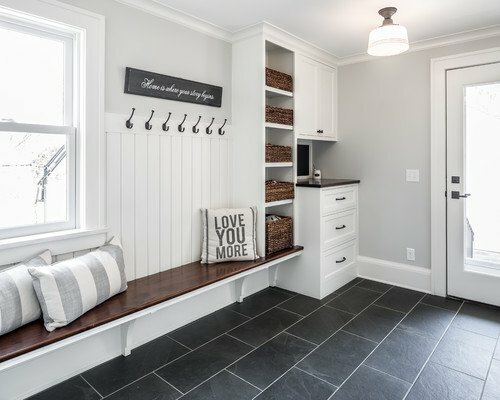 Another trend that I have been seeing over the last year that I have talked a lot on the blog about is this move to rich and dark paint colors for cabinetry and accent walls. All the 2018 forecasts were loaded with dark rich colors, which supports this trend that we are seeing. 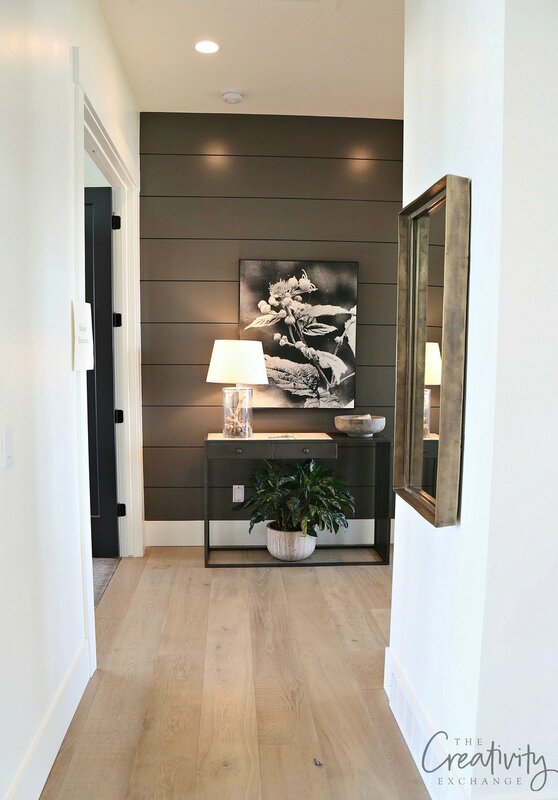 Accent walls are back in a very big way right now and I saw a rich and dark accent wall in almost every home that I toured during the SLC Parade of Homes. 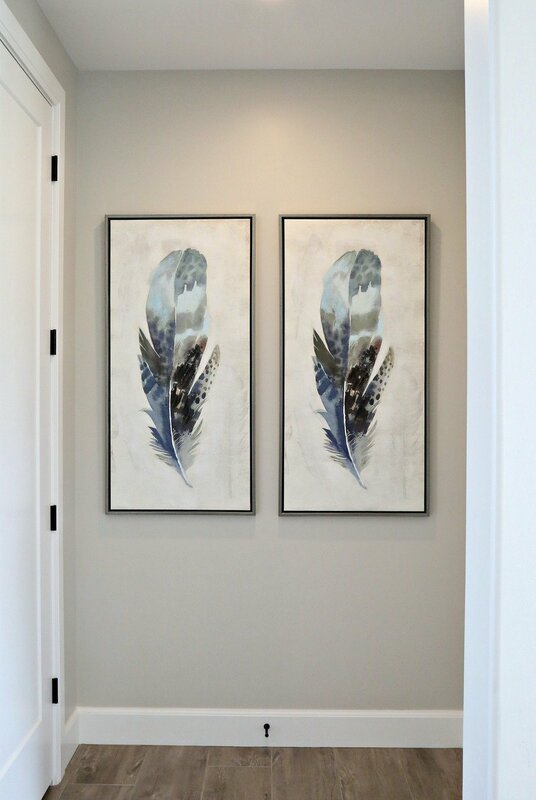 You’ll notice in all of these pictures that the walls are all white but the accent walls are very dark and rich colors. This contrast is really stunning and something that I know we will be seeing a lot more of in 2018. 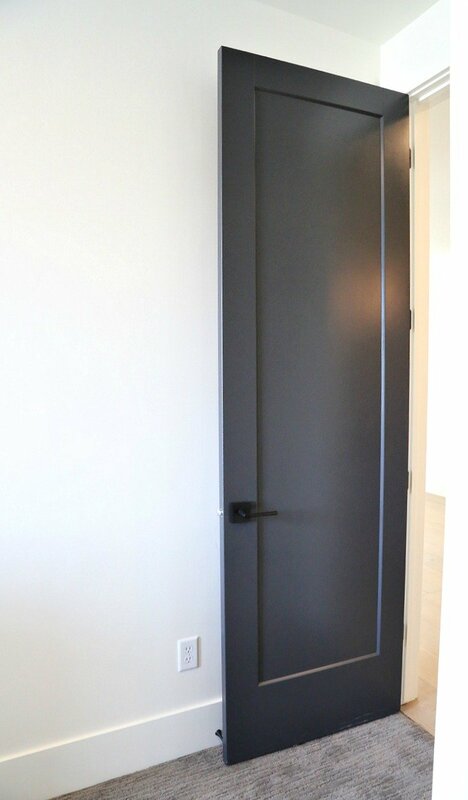 I also saw a lot of rich and dark interior doors and even blogged about that trend because I loved it so much! I am so excited to continue to watch this slow movement into color and I love all the rich colors mixed with crisp white. It’s such a beautiful combination! Here are links to all of the 2018 paint color trends and color forecasts from the various paint companies if you want to sift through yourself! If you are looking for more inspiration, my post from 2017 Paint Color Trends and Forecasts is loaded with great colors and room inspiration. Thanks for stopping by today friends and have a wonderful and Happy New Year! About to paint base cabinets a navy blue. Walls are already illusion blue (Grey blue) a Pantone color from 2014. For upper cabinets should I go with a light color or do the same as the lower cabinets. If I should go lighter what is a good option rather than a cool white. I’m afraid my walls are already a bit cool. Thank you for all your wonderful information. I have taken your advice and researched it and proceeded with painting kitchen and bath cabinets with simply white and love the results. However, I have been slow to make a move on wall paint to update the kitchen and family room. For the last 10 years I have had Toast by Duran in the area and love the color. Yellow during day but a deep warm yellow toned tan at night. It is dated but I am a warm color person and dont want to go toward cool grays. Upholstered peices are beiges and a chair in sage green. All hardwood floors in gunstock oak. Any suggestions would be appreciated. Having a difficult time choosing paint to compliment my living room. We have an overload of wood! The vaulted ceilings and high parts of the walls are wood that was stained golden oak 30 years ago. One wall also has the same wood. We are going to replace the carpet and go with wood floors. To brighten the room we have decided to go with natural white pine. Hoping it counters all the red tones. It is a large room. Not sure what color to paint the walls. I’m not much on blues. Thanks! 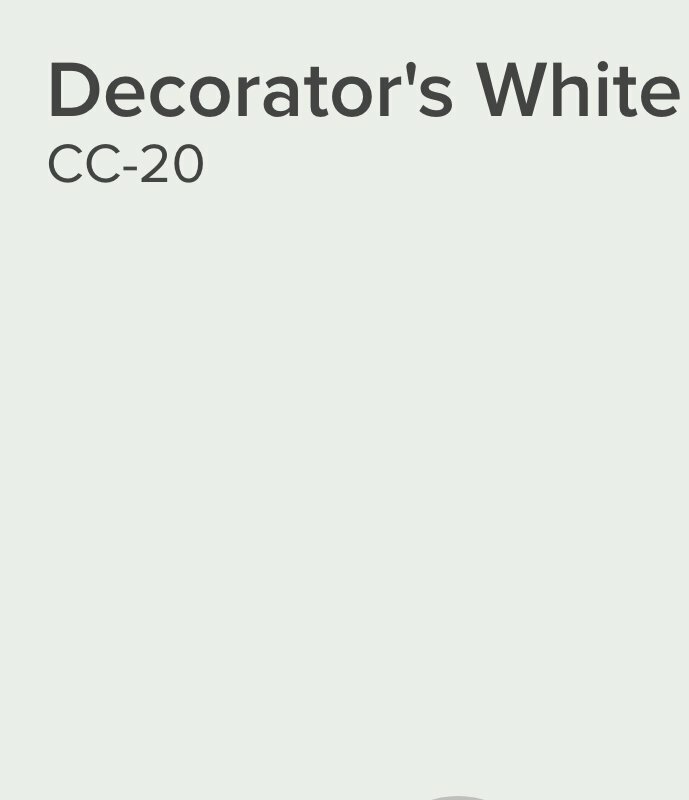 I have just painted my house Sherwin Willisms Cotton White. It is a warm white that make the natural wood in my house look amazing. Hi Cyndy! I love your website, so glad a friend told me about it. 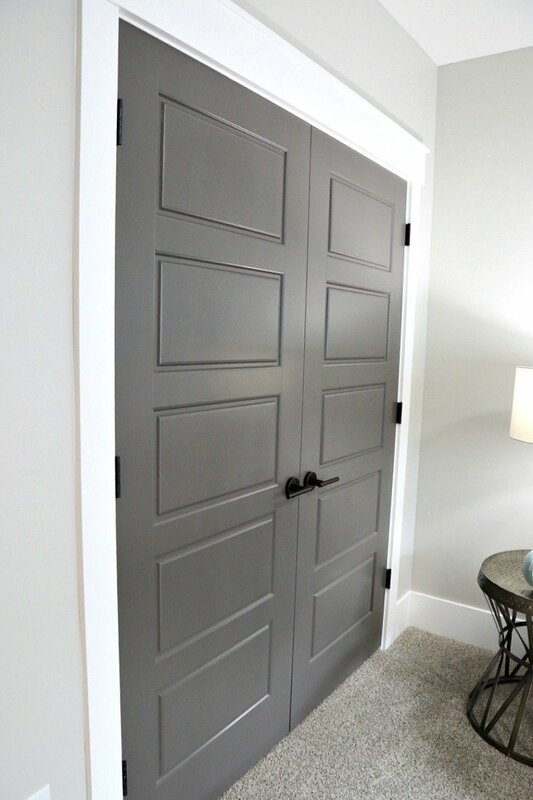 I am buying a new house and want to paint in the gray tones. After reading your comments I want to go with 1 color for the whole house. Repose gray seams to be very popular so I Went and got a sample of the repose gray and painted it on a board. There is a lot of light in my house and when I look at the repose gray it almost looks white, I have a lot of white trim. Looking for something a little warmer, but with no blue or green undertones. Do you have any suggestions? 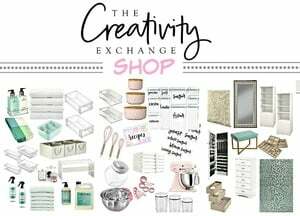 I stumbled on your blog a few days ago, I love it! Thank you for your tips and advice.
. We are renovating a home with 8ft ceilings. I was going to do the trim in (Decoraters White) and the walls in (Repose Grey). I also love the all white look as well. 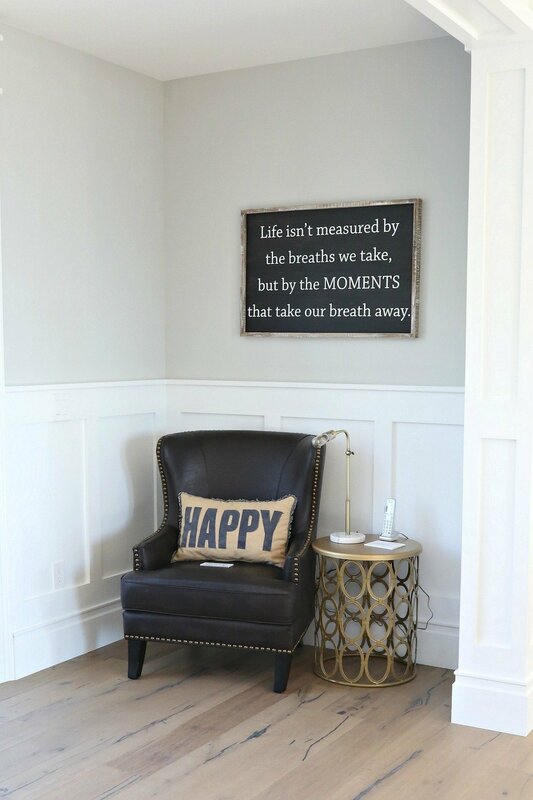 I was wondering if it would make the ceilings look higher if I did (Decoraters White) in semigloss for trim and (Decoraters White in flat on the wall? Too much white? I was going to do the doors in (SW Tricorn Black). 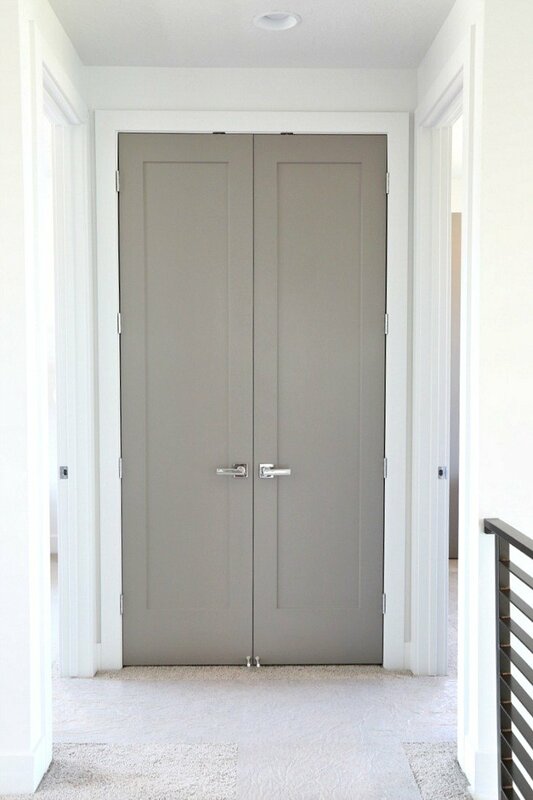 Will that make the ceilings appear lower by painting the doors that dark? Your thoughts or advice please. Also, I am going to paint a dated stone fireplace white as well. I thought the white wall with that would blend it better. It’s like a big monster in the room now! Cyndy, it sounds like we have the same house as above in the last post. Its 30 years old. 8ft ceilings can be a pain. Its a very odd shaped ranch so thought the repose gray would unify it. At least till I’m comfortable customizing.. Thanks for all the info. Some of the paint colors I like have “PPG” before them. Is that a brand???? Thank you for a reply. Just painted a 1500 SF 60’s ranch interior with Accessible Beige (SW7036) and painted the trim with super white. It really opened up the space and looks fantastic.